Inside view of our ring #220. The original engraving was described in a museum catalog as: Roman intaglio - Black jasper ringstone - Seated sphinx in profile to the right. She has female breasts and recurving wings. Ground line. The type is familiar from the fifth to the fourth century coins of Chios. 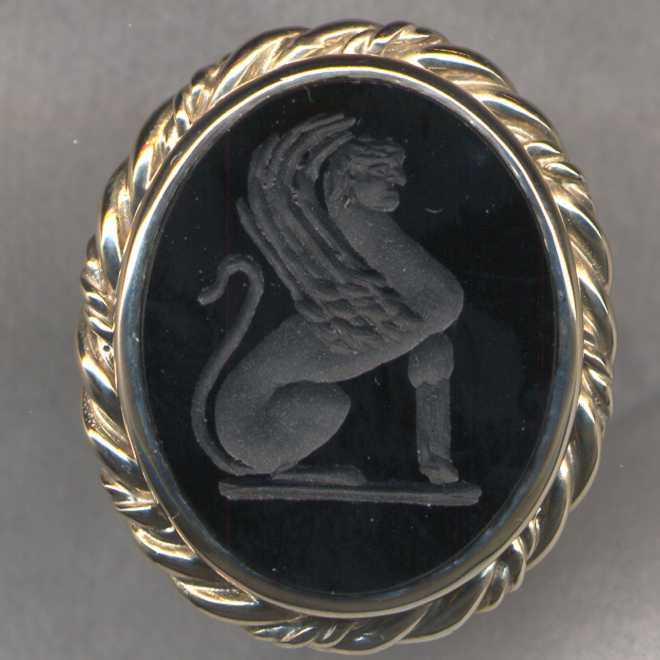 A seated or crouching sphinx is a common emblem on Roman coins and gems. 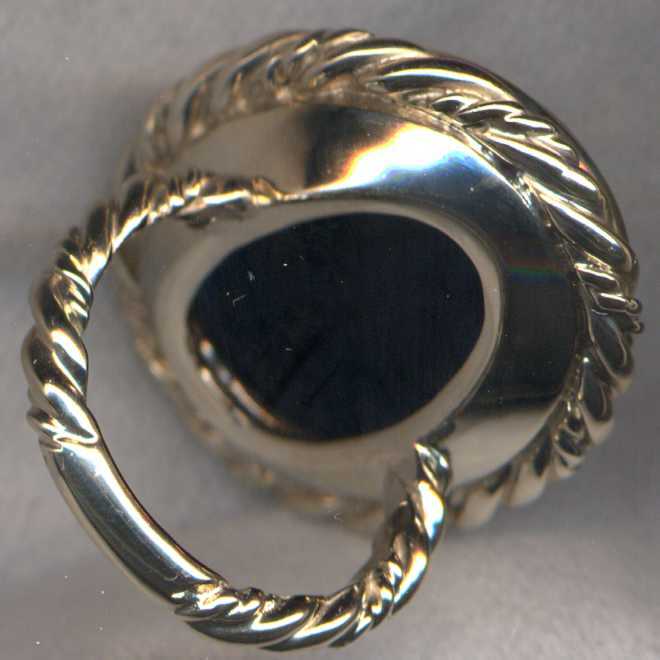 The size of the original stone is 15mm. Metropolitan Museum of Art. New York.